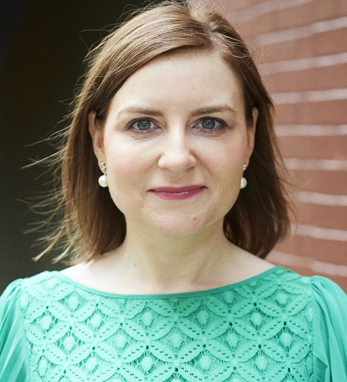 Margaret Molloy, from Offaly, is global chief marketing officer at Siegel+Gale, the strategic branding consultancy. A marketing thought leader, she has held previous leadership roles at Gerson Lehrman Group, Siebel Systems, and Eir; has published in Forbes, Harvard Business Review, and elsewhere; is recognized as one the most influential CMOs on Twitter; and was named 2017 Marketer of the Year by The Drum. She is also an influential advocate for Irish design, launching the #WearingIrish initiative in 2016, encouraging everyone to wear Irish fashion at least once during the month of March and envisions it becoming an annual movement. For her part, she dons fashion and accessories by Irish designers each day of the campaign. She also sits on the board of the Origin Theatre in New York. Margaret earned her M.B.A. from Harvard University and her undergraduate degree from the University of Ulster and La Universidad de Valladolid in Spain. Growing up the eldest of six children on a farm, Margaret credits her accomplishments to her parents’ work ethic and thirst for education. She lives in Manhattan with her husband, Jim, and their sons, Finn and Emmet.